'The body absorbs 60% of what we apply to our skin." Now it's time to follow your dermatologist's skincare therapist's advice, because many people forget to tell pregnant women about beauty products and specific ingredients to avoid. Definitely NOT good for you. Don't worry. We've got you covered. Team Costhetics has compiled a cheat sheet that can help steer you in a safe direction towards Healthy Babyland. There is no 'if" about the body's ability to absorb toxins through its highly permeable skin. Where those toxins go is no mystery either. When certain skincare ingredients make their way into the bloodstream, the effect on a growing baby can be devastating. The skincare industry has risen to the challenge laid down by Chaffer's documentary. We now have wonderful products made with ingredients that are good for skin and good for baby, too, but buyer beware! •	Accutane – Commonly prescribed to combat acne, this prescription-only ingredient has been proven to cause birth defects. •	Chemical Sunscreens – Rather than expose baby to chemicals that may be toxic, doctors recommend that pregnant women chose natural sunscreens based on zinc oxide and titanium dioxide. •	Hydroqunine – This powerful skin lightener is not the answer to the dark spots brought on by pregnancy. Though not proven conclusively to cause problems in humans, this ingredient is linked to birth defects in animals. Doctors recommend that women who are pregnant avoid it. •	Retin-A, retinol, retinly palmitate – This derivative of Vitamin A can cause serious birth defects and liver toxicity. •	Salicylic acid – Found in exfoliating products, this ingredient is considered dangerous for baby. Look instead for products with flycolic, lactic, or mandelic acids for safe sloughing. Costhetics realises that our cheat sheet is far from complete. That's why we recommend that pregnant women speak to skincare professionals who are also health care professionals. They are in the best position to evaluate the efficacy, as well as the safety, of skin care products and put mothers-to-be on the right track. If you don't know, ask a pro! 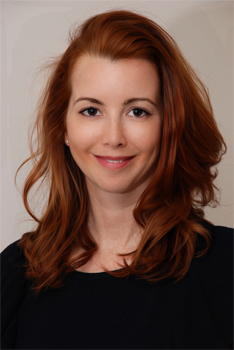 Louisa McKay is the Co-founder and Managing Director of Costhetics, Australia's leading independent and unbiased information source for cosmetic surgery, non-surgical cosmetic treatments and the latest in industry advancements. Costhetics is Australia's leading independent information source for cosmetic surgery, non-surgical cosmetic treatments and the latest in industry advancements. The online portal aims to inform and educate Australians on all aspects of cosmetic enhancement, by providing detailed and unbiased information.